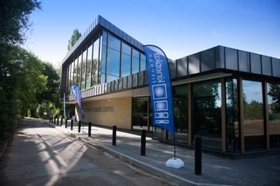 Waverley Borough Council’s Godalming Leisure Centre has won a national award for building excellence thanks to its outstanding environmental credentials. Waverley competed against the 15 other regions in the UK to win the award for the Best Sustainable Project at the Local Authority Building Control (LABC) National Building Excellence Awards in London on 12 November 2013, following regional success earlier this year. The new leisure centre was funded by and is owned by Waverley Borough Council. Officers worked closely with architects and the construction team to design and build an efficient building with high sustainability standards. 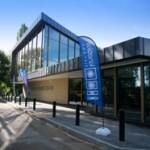 Cllr Julia Potts, councillor responsible for leisure at Waverley Borough Council, said: “I am thrilled that our ambitious plans to revitalise our leisure centres have been recognised once more, particularly at a time when government funding cuts could have driven us to asking our residents to simply make do. Instead, we rose to the challenge of transforming our old pool into a world class community asset of the highest environmental standards. an intelligent building management system to monitor and reduce energy consumption.